With nine locations outside Mountain View, Crepevine is no stranger to the breakfast scene. Crepevine aims to provide the freshest, healthiest ingredients while keeping prices low and making everything from scratch. The restaurant features a wide range of crepe dishes, from savory to sweet, like the "midnight blues" made with blueberries, banana, rum sauce and topped with whipped cream and ice cream. Chef Chu's has been a favorite of Mountain View residents since it was first established by Lawrence Chu in the 1970s. Praised by long-time customers for its hospitality and attention to detail, Chef Chu's offers both gourmet lunches and traditional Chinese noodles, catering to those just developing their taste buds and the more adventurous. The tangy lemon chicken, made with Chef Chu's famous lemon sauce, is a boneless chicken breast dipped in batter, deep-fried and glazed with the sauce. Other signature dishes include the South Sea-style stir-fried barbecue pork and the kung pao calamari, representing a wide variety of regional specialties. Built on the values of caffeine, culture and community, Red Rock Coffee strives to be more than just a coffee shop. On the first floor, customers come in for the coffee, loose-leaf teas and classic cappuccino made from a special house blend. The second floor features open mic nights, live music, comedians and a story hour every week. The community part of the equation comes in through Red Rock's continued support of local programs like AVID, MVLA Scholars, and the Mountain View Library. La Fontaine may be a new winner, but this French and Italian fusion restaurant has already proved itself to be a hot spot, with readers naming it the best place for fine dining, as well as having the best outdoor dining and as the best place for a business lunch. 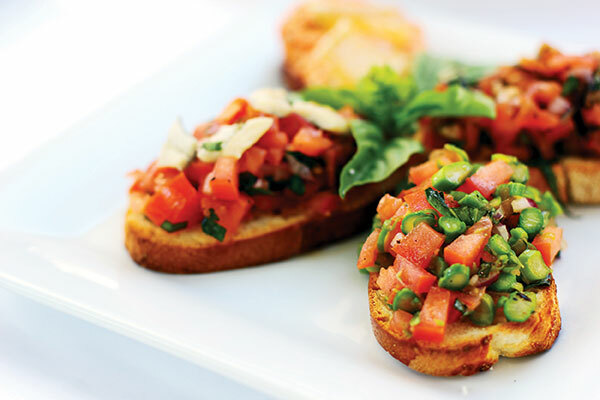 La Fontaine offers an aura of class and professionalism with a menu that strives for high cuisine. Popular dishes include the Burgundy-braised short ribs and the salmon Wellington, which is salmon stuffed with leeks and rock shrimp that's wrapped in puff pastry and served over saffron risotto. Xanh's sleek design and focus on sophistication gives an indication as to why our readers have once again voted it the best fusion restaurant and the best Vietnamese restaurant. Xanh, pronounced "sun," offers a buffet-style lunch, special event catering,and a lounge and bar featuring its signature cocktails. Favorite menu items include the shaking beef, the New Zealand rack of lamb, and pho you pho me, a beef broth with filet mignon and rice noodles served with bean sprouts, Thai basil and jalapeno peppers. A new winner this year, Park Balluchi labels itself as a fine dining experience with a comfortable and contemporary ambiance offering a full bar, lunch buffet and catering. Using organic and fresh ingredients grown locally, the restaurant offers both vegetarian and non-vegetarian food in the style of North Indian cuisine and Punjabi traditional village cooking. Specialties include a the Kashmiri roganjosh, a lamb curry from the valley of Jammu and Kashmir, and a garbanzo curry called chana bhatura. With a warm and inviting atmosphere, Ristorante Don Giovanni has been serving authentic Italian cuisine since founder and owner John Akkaya opened its doors in 1997. It has since become known as a go-to establishment for meetings, banquets, and parties. Must-try dishes include spaghetti alla Bolognese and tortellini alla Michelangelo — a pasta topped with chicken and veal over a creamy sauce. A family-operated business, Mediterranean Grill House is a new winner of this year's best Mediterranean and Middle Eastern restaurant categories. At Mediterranean Grill House, the customers are key and their satisfaction is valued above all else by owner Hasan Ibrahim and his two sons. Their wraps, from falafels to shawarma, and kebob plates are the top draw. 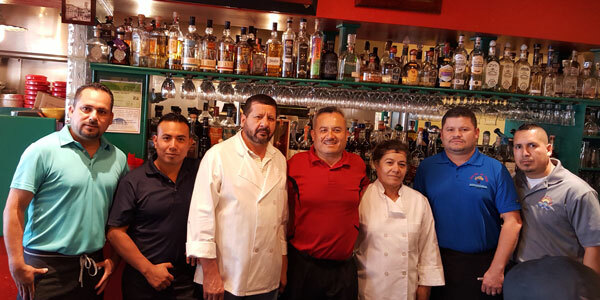 Long-time winner Fiesta Del Mar Too has been operating for 19 years under the guidance of owners Alexandro and Susan Garcia, with some help from the whole family. Fiesta Del Mar Too is the sister restaurant to the now-closed Fiesta Del Mar and Agave Mexican Bistro, also located in downtown Mountain View. Customers keep coming back for the authentic atmosphere, as well as the marinated rotisserie chicken, special recipe margarita, and the friendly staff. Mediterranean Grill House - See Mediterranean Restaurant. Located inside Ava's Downtown Market & Deli, Poke Bar has only been open since November but has caught on quickly with Voice readers. 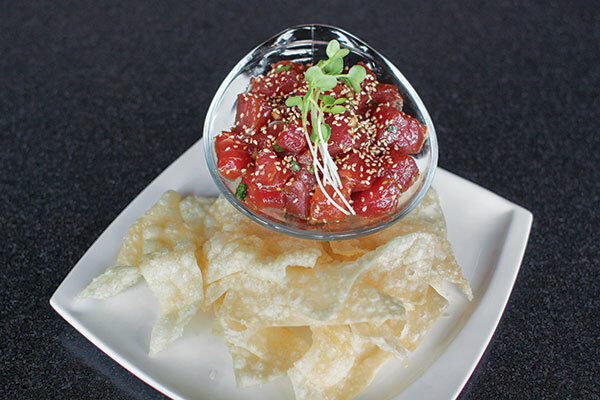 Poke, a traditional Hawaiian appetizer made with raw fish, has already made its mark. 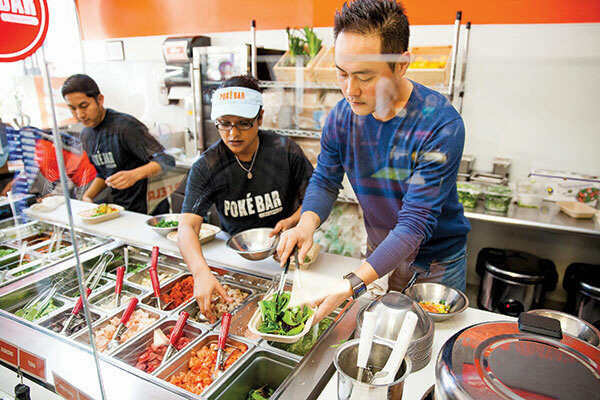 With a dedication to providing fresh, high quality and healthy ingredients, Poke Bar offers customers the opportunity to create their own poke bowl by choosing from a variety of bases, flavors, toppings, and proteins, from octopus to tofu, to create a unique dish. With a seafood menu that spans the Pacific Ocean, Pacific Catch combines fine dining with the laid-back Californian vibe. Pacific Catch is dedicated to serving high quality seafood with recipes and ingredients from throughout the Pacific all while making sure their food is held to a responsible environmental standard. Signature dishes include the "Daily Catch," served during lunch and dinner, as well as its variety of Hawaiian poke plates. Sushi Tomi prioritizes its a menu full of classic Japanese cuisine and our readers have taken notice by once again voting it the best Japanese restaurant in Mountain View. Customers take advantage of the sushi bar or sample the white tuna don, sliced white tuna on top of sushi rice glazed with a special sauce. For those who don't like raw seafood, there are also plenty of non-sushi dishes available, including the teriyaki salmon. Started as a small family business in its original San Jose location, Amarin Thai has undergone a transformation into a high-quality restaurant with locations in three other Bay Area cities. Amarin Thai has been our reader's pick for best Thai restaurant since 1999 and it's no wonder, with its variety of vegetarian and non-vegetarian Thai cuisine. House favorites include jumbo prawns with spicy herbs and its sauteed chili seafood made with a combination of zucchini, bell pepper, and basil. Owners Robert Liang and Paul Hsueh started Garden Fresh with the intention of participating in the centuries old tradition of Chinese vegan cuisine. Garden Fresh, a Humane Planet certified business, is dedicated to using only the freshest and most organic ingredients available. Favorite dishes among our readers include the kun pao eggplant, a Japanese eggplant bathed in a spicy Szechuan sauce, and hand-rolled veggie wraps called basil moo shu Rolls.